Surprisingly perhaps many of the articles on the newer ultimate nations, Philippines, Uganda, and India were viewed as much as the pieces on Team USA, as well as our own Irish teams. Ultimate in India! Delighted to see you guys coming to WCBU. When did Indian teams first start managing to travel beyond India to play tournaments? Abhi – Thank you! We are thrilled to have teams in 3 divisions (Open, Open Masters and Mixed) represent our up and coming community at WCBU 2015. Manu – Indian teams first started travelling to international tournaments in 2010. Singapore Ultimate Open 2010 (SUO 2009) was the first time players from India put together a team to travel to an international tournament. We have had representation at every major South East Asian regional tournament since. Most of the mixed team at a recent practice! How long did it take to grow ultimate to the point where you were able to have national tournaments? 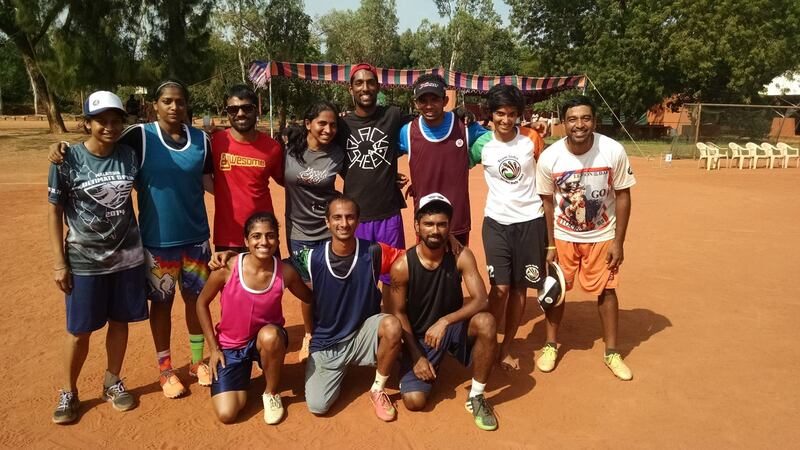 Manu – Chennai Ultimate Frisbee (CUF) began with less than 10 players in June 2007. Before the end of the year, we found that there were pockets of Ultimate in New Delhi (Northern india) and Ahmedabad (in the state of Gujarat, Western India) and had reached out to them. We had our first ever national tournament in early 2008 hosted by Ahmedabad Ultimate. We had teams from Chennai, New Delhi and Ahmedabad. AP – Starting from 3 tournaments in 2009, Today, we have tournaments around the year. It’s a good selection of a variety of tournaments – some on grass fields and dirt, fun hat tournaments, beach et al. We are close to the point where its hard to fit in tournaments to our calendar without an overlap! Has the sheer size of India been a challenge in terms of getting to play teams from other parts of the country? Manu – It is a significant challenge, despite India being extremely well connected by rail and air – By Rail, the farthest tournament from Chennai (which is New Delhi) takes over 2 days! And expensive flight tickets are out of reach of a vast majority of our players. To overcome this, we have tournaments spaced through the year (with no real off season). TDs give players visibility of up to 3-6 months to enable them to book their train tickets in advance. Almost all our tournaments are held over a long weekend so players won’t need to take additional days off. How were the teams picked for WCBU 2015? Are all the players from Chennai? AP – All the three teams have an excellent mix of players from across India (and Indians living abroad). The teams were picked from a group of players who could meet the required eligibility criteria that included being able to fund themselves for the entire campaign. This is a big jump from 2011 where we had a grand total of 10 players at WCBU! What are your expectations for WCBU? Abhi – India has had good representation at tournaments in South East Asia since 2010. Through Patrick’s (BULA) help and guidance we put together a team for WCBU 2011. We were thrilled just to be there and went in with no expectations. We finished with no wins but took home the Spirit Award! We look forward to showing the world that we can play Spirited Ultimate and bring it to the parties. A notch or two under the wins column would be nice but that is not going to stop us from having fun! AP – As Abhi mentioned, just the opportunity to play at a tournament of this scale is huge!. Since most of us don’t get to play international ultimate, we rarely get to see what it looks like (videos apart). Playing with the mindset to learn and adapt, will hopefully make us better players. So I’d be speaking for most of us when I say we’re not looking to predict outcomes, just aiming to play to a plan and learn. It’s great that you have 3 teams appearing. Was any one squad harder to fill than another? AP – We have slowly raised the gender ratio at our national tournaments from a loose mixed 5:2 to 4:3. It has been a slow but rewarding process. We had little trouble finding women players! Manu – Our Open Masters team was the hardest to fill. We are a very young community and many of our players started playing only a few years ago. We really don’t have anyone who has played for 15 years. Is there a distinctive Indian beach ultimate playing style? AP – BULA certified Chennai Heat, India’s biggest Beach Ultimate Tournament is played 7v7 (mixed) on a full size field (100m X 37m)! So the style of play is quite unique and different from 5v5. Which teams are you most looking forward to playing / watching? Abhi – We look forward to meeting all of the teams and making more friends in the international community. We look forward to seeing how we match up against the ‘developing’ countries. I love watching the Boracay Dragons (Philippines; Open Div) play. I have many friends on the team so I know the amount of hard work and effort that has gone into their preparation. We have a lot to learn not just from their flashy style of play and athletic performance but also their humility and approachability. 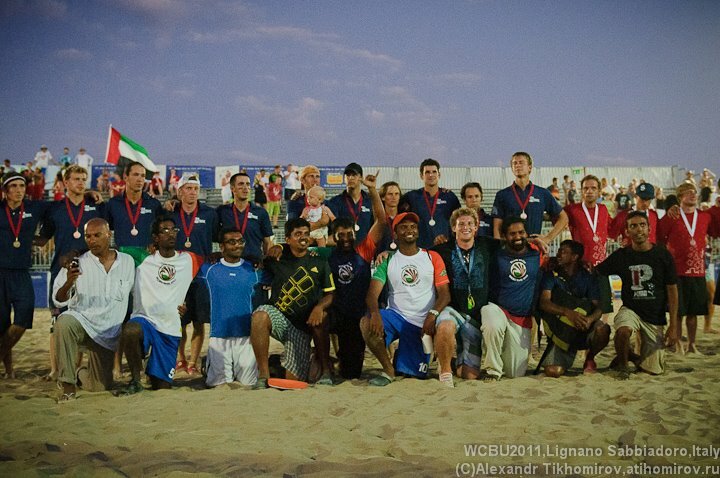 Will we see Indian Ultimate teams appearing at grass based Worlds tournaments anytime soon? 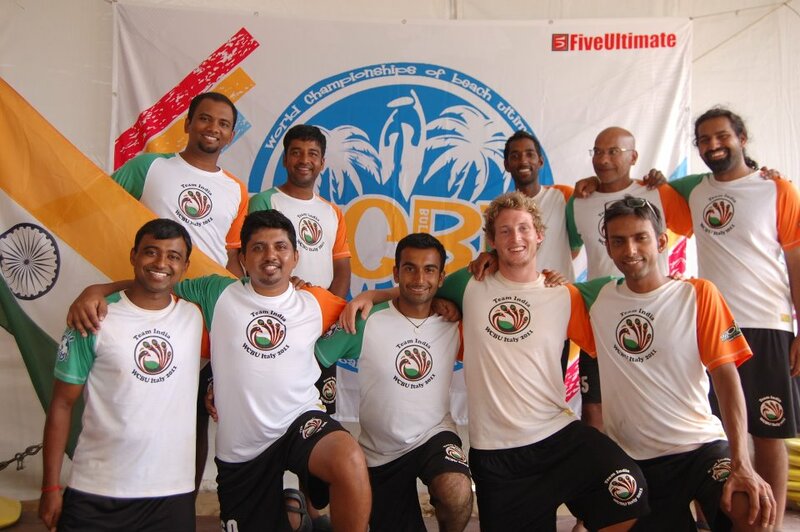 Abhi – India sent two teams to Asian-Oceanic Ultimate Club Championships 2013 (AOUCC 2013). We have a bid to send a mixed team to U23 Worlds at London next year under the leadership of head coach Daniel Rule from Melbourne, Australia. I think it’s safe to say that we are on track to be the next Philippines (or Colombia, if you like). We are learning to build teams and coach better. Expect to see us more often!